Be a Savvy Shopper This Season! Include gifts, of course, but also wrapping, cards, decorations,and hostess gifts. All the incidentals that get forgotten. Know that retailers are also feeling the economic crunch and are doing everything possible to entice you to shop more, and more frequently. Pay attention to weekend or pop-up sales, even if they seem early. I have already seen ads for 20% off holiday decor, and it’s only November! Shop the daily deal websites for lower-priced service based gifts like spa services, restaurants, house cleaning – that is a GREAT way to thank a hostess! 4. Keep Your Receipts & Tags ON! Keep your originals in a single envelop, and take them with you whenever you shop. Many stores offer a price adjustment on merchandise that’s been marked down from regular price (within a certain timeframe, usually 14 days from purchase date). If you miss the price adjustment period, but the tags are still on your new, untouched, tagged gifts, you may be able to purchase a replacement and return the original. Wear comfortable clothes & shoes, you don’t want to ditch shopping efforts because your feet hurt or you’re too hot. Leave your coat in the car – why schlepp extra weight if you don’t have to? Besides, the lines at a mall coat check are insane (and carry a cost). Carry only what you need (including that list) so you’re unencumbered, but include some trail mix & a bottle of water just in case. Shopping can be hungry/thirsty work. Winter is the time to be social, festive, and showing the people in your life how much you care – no matter what the budget. With these tried & true Savvy Shopper Shopping Tips you’ll be well on your way to doing just that! As hard as it is to decide to let go of some of clothing you’ve had around for a while, if it’s not satisfying these three things, it’s better to move on. Even two out of three may not be good enough. That’s ok, it just means that you’ve evolved, and so has your idea of image and style. We will find new things that are perfect! But what to do with the things that you’ve piled up as a ‘cast away’ pile? Very, very rarely would I suggest that clothing should be tossed out. The only times are when the items that you’re moving away from are either intimate wear or are beyond any reasonable use to another person. You can Give Meaning to Spring Cleaning by selling or donating your old clothing items to give them the opportunity to make someone as happy as you have been when you wore them. 2. Success Program Donations: Consider donating good condition business appropriate items, between 2 – 5 years old to Dress for Success or Dress Your Best. Both organizations assist economically disadvantaged individuals prepare for success in their professional pursuits. You may also be eligible for tax receipts for your donations. 3. Drop-Box Donations: The remainder of your items will likely be very welcome to the recipients of donations from Goodwill, Salvation Army, Value Village, or a program affiliated with your house of worship. No matter which combination of options you choose, you will know that your spring cleaning has had extra meaning this year. Transitioning your closet from one season to another – especially the big ones: Winter to Spring and Summer to Fall – isn’t just about packing everything up into garment bags and bins and stuffing them into the basement. Noooo! It’s really the opportunity you have to give a final once over to the beloved clothing that has joined you for the ride over the past few months before you store them away for another year. 1. Where’s the Wear? Check linings, collars, cuffs, hems, ESK (elbows, seats, knees) of all clothing and outerwear items for soiling, tears/wear, stains, and discolouration. Launder or dry clean all pieces prior to storing for the season. Even if it looks clean, body oil and perspiration are two of the most common stain/wear culprits – and pests, like moths, love them both. Even if you don’t think you have pests, if any have laid eggs, they’ll be impossible to find until they’ve eaten their way through your garments. 2. Threadbare? Don’t You Dare! Aw! This must have been a favourite piece of yours. We may be able to replace it (in the case of basic sweaters, jackets, jeans) or it might be worthwhile to have a seamstress use it as a pattern to recreate a new piece to love. Either way, it’s time to say goodbye to this piece. If it’s a lining that’s torn, you might consider replacing it! But only if it’s a piece you can’t live without. Lining repair cost and labour intensive work. 4. Protect What You Love: Store your off-season clothing, hung or folded, in closed containers with cedar blocks, in a temperature controlled environment away from direct light to prevent fading. Avoid mothballs! They are not only made of nasty chemical that can harm humans and animals, but they also impart a distinctive and nose-wrinkling odor to your clothes. Follow these tactics and your favourite clothes will be ready for another season’s worth of adventures just when you need them! When that first day of warm-ish weather hits, when the breeze is just right and the sky is a bright, clear blue, I’m always compelled by thoughts of….cleaning. Yes, I should be outside relishing the weather, but somehow it’s opening up all the windows, turning up my favourite cleaning music, and getting knee-deep in the process that feels most satisfying that first day. I know not everyone has the same rabid, ‘Monica Geller-esque’ desire to break out the cleaning fluids, and even I’ve had a few anti-cleaning excuses run through my head before, I wonder if they sound familiar to you? Half way through June you’re wondering why you can’t find your shorts amid your winter sweaters….Seasonal Closet Clean-Ups are a big job! Like anything, it’s easier to accomplish if you break it into steps. 1. Start with your Fall/Winter clothes: Organizing and storing these items will help you mentally prepare for the new season. Have you loved/worn it in the past two years? Does it still still fit? Do they still fit your Style Words and goals? In this case, even two out of three may not be good enough. If they don’t – let them go. 3. Of the things you decide to let go of, decide what to do with them. I have lots of suggestions on how to Give Meaning to Spring Cleaning. 4. Divide your newly edited items into three categories: Reshelve, Revive, Revamp! 5. The final step – once your Fall/Winter items have been tucked away, and your Spring/Summer items fill up your closet happily, create your shopping list for the season based on what needs to be replaced and what new items you’d like to build into your style. What Does a Image Consultant Pack for Vacation? I think we can agree that it’s been a wild winter this year, can’t we? So, not to rub it in, but I’m headed for vacation next week to sunny Miami and I can’t wait! The stresses of customs combined with the lengthy waits at the baggage claim have made me decide to pack for this 7 day trip in a carry-on. You’ve seen me pack in a carry-on for a business trip with the Report on Business, now I’m going to apply the same techniques when packing for a week of fun. My trip is a City Vacation, and it will be hot during the days and cool at night. While we will definitely hit the beach & the pool, it’s not a ‘lay on the beach and rotate every 45 min’ kind of trip. There will shopping & wandering (hello Miami Deco & Versace’s Mansion! ), dinners & evenings out (salsa dancing I hope! ), and even gym-going….I know. This kind of trip seems to require a lot of different kinds of clothing for difference kinds of activities but, done strategically, you can still be properly attired with lots of variety and YES: make it all into a carry-on bag. And yes, it all fits in a carry-on! 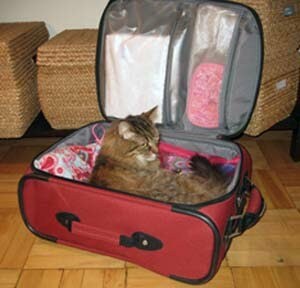 There’s even enough room for a travel companion…sorry Minouchka, not this time! What I love about this capsule: 1) The colour palette mixes a constant neutral (Charcoal Grey) with 4 flattering colours (denim blue, mauve, steel blue, and coral pink) that work well in warm weather, 2) The fabrics mix well together and for different levels of dress because they are light weight, smooth textured, and 3) Every piece does multiple duties so there’s lots of bang for buck! So where’s the work out gear? I put it into my gym bag of course! This Lug Puddle Jumper also makes a perfect tote bag for travel. Lots of compartments and a tonne of internal space, I fit in two sets of workout gear, gym shoes, weight gloves, my laptop, iPod & earphones, and a slew of other odds & ends for the plane ride (like my laptop, trail mix & kale chips). Ooh! One last tip: I choose to wear some of the heartier clothing on the plane so it doesn’t take up valuable packing space. My ‘travel outfit’ will be the jeans with the chambray tunic, the jacket, accessorized with the platform shoes (with cute crochet sockettes for the Toronto portion), wide belt, large brown purse, and purple scarf. Upon arrival I can peel a layer or two off and feel perfectly suited for the Miami warmth! Play with this capsule! I bet you can think up far more than just a week’s worth of outfits here! And I’ll show you some of the combos I wore when I return! A fresh new year is like opening a new notebook. The pages are crisp and just waiting to be filled with new adventures, realizations and commitments. It’s also a great time for a make-over! I am a firm believer that thought leads to action. I believe that getting your mind on board first helps to get your body, your spirit and your life on track naturally. 1. Outline two or three goals in each area of your life (some could be: relationships, work, image, spirituality) that you would like to accomplish this year. 4. Get a calendar – one you look at all the time – and write down each goal on the date you want to achieve them. For our example, your ultimate goal might coincide with a special event (reunion, return to work etc), and intermittent goals could include items like fitness goals or a series of make-over program appointments with your Style Coach. 6. Make appointments for those baby steps to make your goals a reality! What’s good for the goose is good for the gander. Trademark has a lot of goals for 2010 too, with many changes ahead to bring you more exciting content and services! I look forward to revealing them as the year progresses. Happy 2010 everyone! It’s going to be an exciting year! Out with the Old, In with the Fashion New Year! I don’t know about you, but I’ve always felt like the true start of the new year is September. The change in the air, that back-to-school feeling I can’t ever seem to shake, and of course, the THICKEST fashion magazine issues of the year! If nothing else, September is the start of the new year in the fashion world and that, in and of itself, is thrilling for me! Just as in Spring, the start of the Fashion New Year is a great time to take stock of your closet’s contents. Do they fit your lifestyle? Do they suit your needs? Do they fit, flatter and make you happy? How long have you had them? (hint: generally 5 years or more for every day clothes is too long!) Even though styles may come back, they will always come back with a difference (wait until my entry on the New New Wave trend…)! This week I had the pleasure of being featured in an article ‘Simple Expert Advice for Reinvigorating Your Closet’on MSN/Sympatico’s Shopping Cart Confidential Blog with writer Jackie Burns. In it I provided tips and thought starters on how to master an unruly closet of clothes and make sure that it works for you. Hope it helps provide a bit of ‘new year’ inspiration! Happy Cleaning and a Very Happy Fashion New Year! Happy 2009 everyone! Now that the holidays have passed and we’re looking at a fresh new year ahead, I know everyone is making their new year’s resolutions. A lot of my clients have made financial resolutions, a particularly savvy choice in the new economy. Resolving to stay economically sound doesn’t mean you can’t continue to enjoy developing your style even during a recession. Take this time to inject some creativity into your wardrobe, while remaining budget conscious. Make a list and check it twice:Shop only for a few items that you know will round out your wardrobe. Take your list with you, and have the resolve to stick to it. Upgrade the quality level: Even higher-end retailers are feeling the recessional pinch. Now is the time when you might be able to upgrade the quality of your clothing items for the price you’d pay for a lower quality item. What’s the upside here? You might spend the same as you would ordinarily but the higher quality of the items you buy means they’ll look richer, wear better, and last longer. 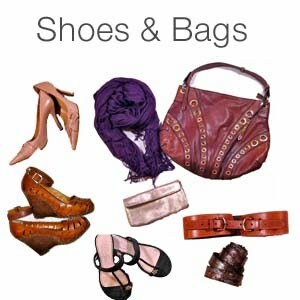 Accessorize: Use exciting, inexpensive accessory changes to update your existing wardrobe and keep your budget in check. 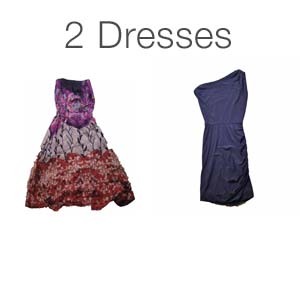 One neutral or black dress can take on a number of different looks when paired with one piece of chunky costume jewelry or funky patterned scarf. Experiment! Tailoring: Compare the cost of tailoring against purchasing new, and then update existing wardrobe items by having them tailored to meet the current trend: taper your straight leg jeans for a skinny look, or take in a men’s wear vest for a curvy, fitted look for a far more reasonable price point than buying a new item. I have just arrived back from a fabulous morning at Breakfast Television where Dina Pugliese and I delved into the closet to pull out those ‘saboteurs’ that really prevent us from getting up and getting dressed with ease and how to fix them. So how do you fix the closet that’s not working for you? The mantras I want you to keep in mind are: Let Go, Know Thyself, and Never Settle. Worn Out or Just Plain ‘Out’: These guys stick around too long under the guise of ‘Tried andTrue’. Clothing should be cared for and used so long as they look crisp, fresh and as new. When fabrics begin to yellow or fade, hems fray to pieces and shoes scuff or break beyond your cobbler’s magic, they should be let go. Items that are out of style well, some of these things won’t and shouldn’t come back. Let these go too (please). It’s BAAAAACK! : Even if a trend comes back into fashion there will be changes to it that will render the original rather relic-looking. Even classic pieces like the perennial black pant need updating every couple of years. It Fit…Once/It WILL Fit: Clinging to the idea of ‘size’ is an exercise in pain. Keep only items that fit now, regardless of the number or letter on the tag. How will you know it fits? Because it will skim your figure, no pulling, no bagging. The best thing you’ll notice about a great fit is …YOU. Out of Season: Have a ‘working closet’ and a separate area to store out of season items. It’s hard to really see what you’re working with when everything is mixed in together. 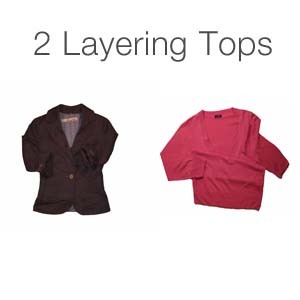 Storing out of season clothing allows you to focus on the items that will work for you every day, right now. Someone Else’s Choices: You may not realize how many items you have that somehow, someone seemed to think would work for you but that you don’t agree with. How do you know? Because they hang in your closet untouched. Understanding how your personal design (your colouring as well as your body type) and personal style work means dressing to your best advantage every time. If you haven’t worn them in the past two seasons, it’s safe to say: you won’t start now. Have you let go yet?? You can do it! As you evaluate how well your current wardrobe serves you, you will begin to understand what pleases you in your clothes, what styles you dislike and which ones you admire. Gaining an understanding of this will enable you to seek out and purchase those things that fit your goals – you will begin to know thyself! To find happiness in a new closet that functions well for your life & style, remember how you got to this new, well-edited place in your wardrobe: careful evaluation of the criteria above. Use them when you re-evaluate your closet each season or each time you shop to eliminate items that just won’t serve you and that will clutter up your closet again. Stop settling for items that are just ‘ok’. That’s how the closet got to where it was to begin with! Commit to purchasing only items you really like, that will serve you and your lifestyle well. And remember, I’m always here if you need some help. Feel free to drop me a note or give me a ring.